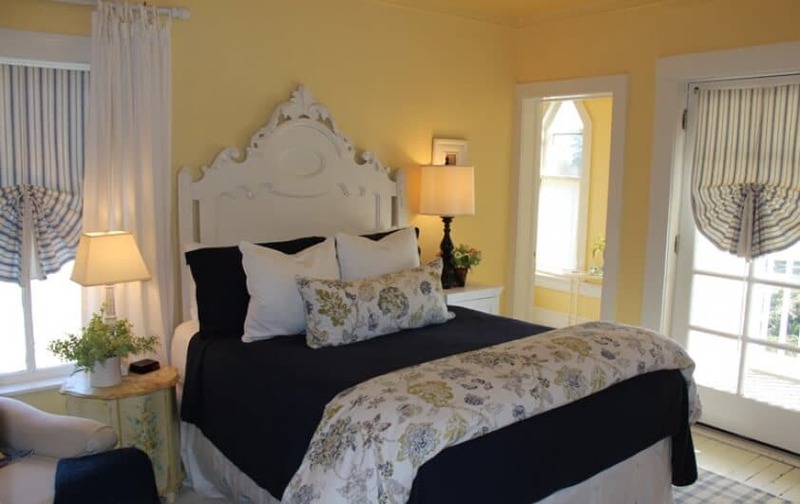 This room continually receives high marks for its sophisticated décor and homey feel. 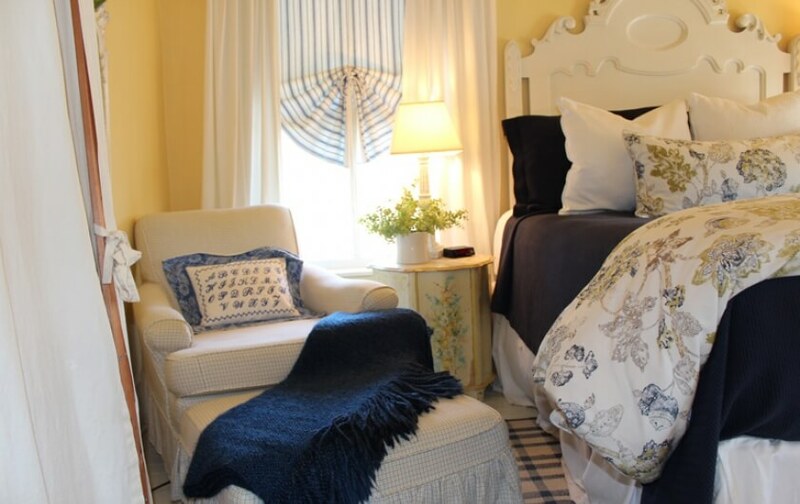 Styled by our expert designers, it’s no wonder why with this room’s elegant premium Queen bedding, luxurious linens, a shabby chic headboard, and relaxing shades of blue, white, and yellow. If your trip is based on comfort, this schoolhouse room is for you. Take a seat in one of the room’s comfy chairs or step out onto your semi-private balcony for a breath of fresh Chesapeake Bay air. In your private bathroom, lather up with our Gilchrist & Soames luxury toiletries in your bathtub or shower. Once you’re through, you can shimmy into a soft waffle robe and warm yourself with the plushest terry towels. We also have a hair dryer, iron, ironing board, fan, and flashlight to make your stay perfect.